all the little ladys again. that was a shock as she had not foaled in years, she passed last fall, she was almost 40 years old. Well, here is our little mini - Nat - he is our teaser stallion and a sweetheart...he takes his job very seriously and does a great job at it too.. Almost 40 !!!! OMG !!!!!!!!!!!!! He's a handsome little bugger, I can just imagine that he DOES take his job seriously Thanks for sharing ! February 10 1999, just two days before she turned 30! She was the best mini I have ever known, may she rest in peace. This is my baby boy Baxter. It wont let me add a photo?? There is no "UPLOAD" button!! 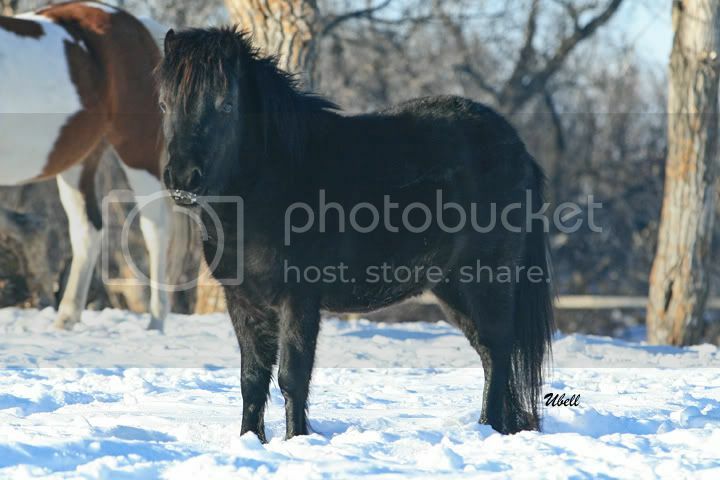 This little boy was Rebel, my mini stallion. Thank you ST, Rebel is at stud at a friends farm, he is 17 years old, and is the sire of Puzzle. Heather wow your boy is coming along soooo nicely!!! I have always loved Miniature Horses and when I was in college I worked at a miniature horse farm part time and loved it so much. I later on got some really nice minis of my own. I have Ashly Acres Color Me Blue, he is probably about 20+ years old now. I would have to look at his papers. He was a really nice show stallion that was in training with a friend of mine. I had admired him for years and finally bought him. I have two of his daughters, who are both full sisters. Blue is now a gelding. He is turned out with his daughters and mares and is happy. Then I have 29 year old Komokos Gypsy Lady-- who is a wonderful and gentle mare who has had many nice foals over the years. Then there are Blues Honey and Blue's Clues-- both full sisters-- one a solid bay and the other a chestnut and white pinto. Then we have Twilight-- a 24" 2 year old Miniature filly out of Blue's Clues and by Make A Wish Whammy's Little Big John. And now we have Charm-- a newborn mini filly out of Honey by Cypress Creeks No More Dreamin.